Foot Chinko World Cup features a different take on soccer games with a unique blend of pachinko..
Little seal needs your help! Gather enough coins to free his friends. 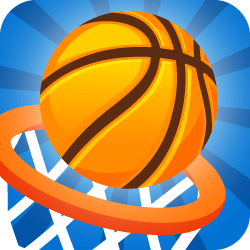 Be quick and avoid all th..
Get ready, shoot, score and WIN: Bouncy Dunk will make your excitement grow!Test your skills by..
Hit your baseballs hard and... avoid bombs and tomatoes! Improve your ability hitting multiple .. Play as striker and goalkeeper and compete with the best soccer teams of 2018 in this exciting ..